For the past year or so, we’ve been working on a residency with Watershed+ in Calgary, Alberta. Watershed+ is a unique public art residency program that creates a climate of opportunity for water initiatives to build an emotional connection between people and Calgary’s watershed. Our task was to embed ourselves within the Water Centre (and Calgary in general) and really take the time to explore what the watershed means to Calgarians and us as visitors. 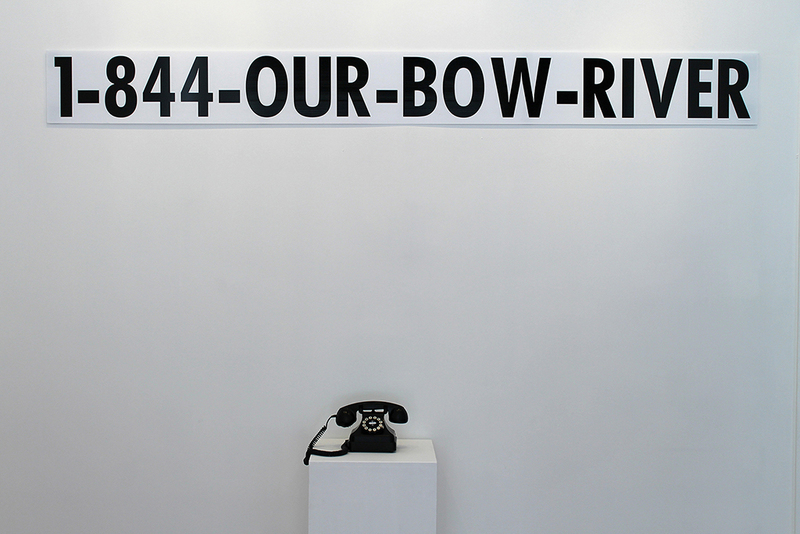 The Bow River and Elbow River are Calgary’s main sources of water and during our residency we explored ideas inspired by their physical structure, social implications, and municipal infrastructure. We went on a number of tours and took hundreds of photographs, audio clips, and short videos. 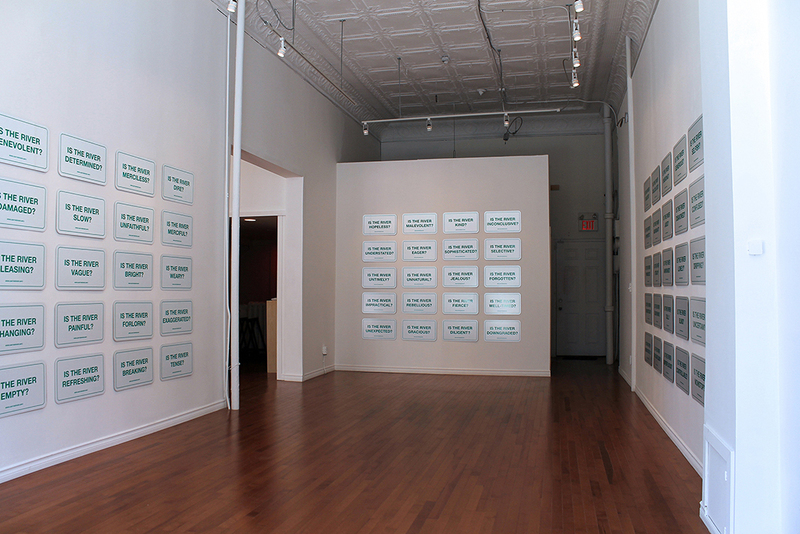 After months of brainstorming, meeting, and reconfiguring, we have produced a series of works called Varying Proximities. 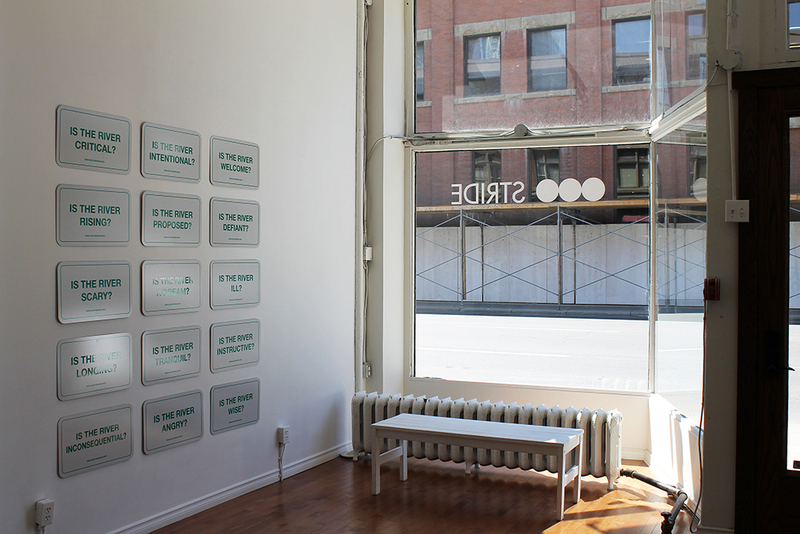 An exhibition of the project was generously hosted by Stride Art Gallery Association in Calgary and will remain on view until Saturday, August 2nd, 2014. “Hello. One moment as I connect you to the Bow River.” With this simple introduction, you are transported to the river’s edge and begin to experience the Bow’s rushing, gurgling, and babbling efforts to connect to you. Whether nearby or across the world, anyone can attempt to connect to the Bow, and begin to explore its wisdom, or its secrets, or its songs, creating a unique opportunity to explore proximity and access as fundamental components of our relationship to the Bow River. 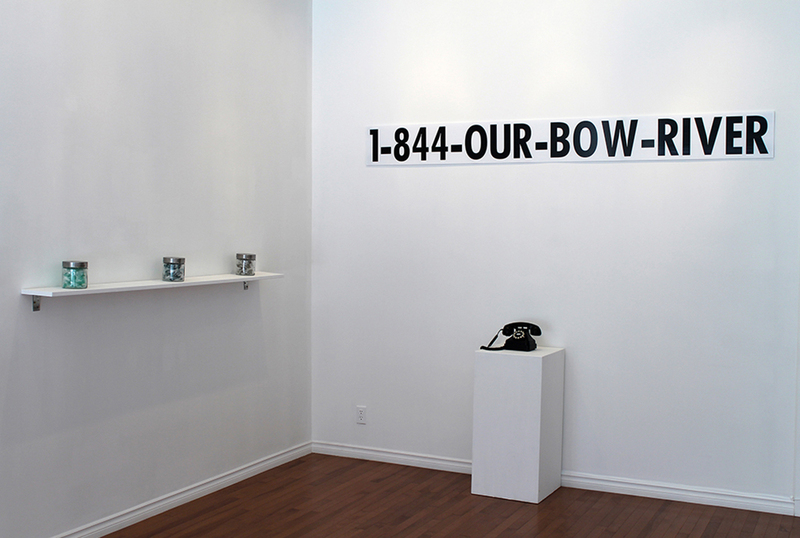 The toll-free number to connect is 1-844-OUR-BOW-RIVER (1-844-687-2697) and the hotline will remain active for the foreseeable future. 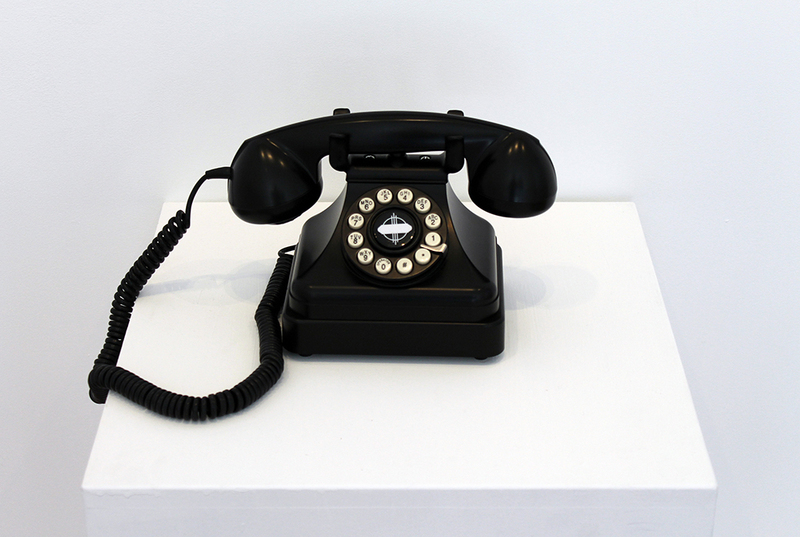 We installed a retro telephone at Stride Gallery to allow visitors to call the hotline. What does the Bow River taste like? What colour is the water flowing through it? How does one savour the Bow? 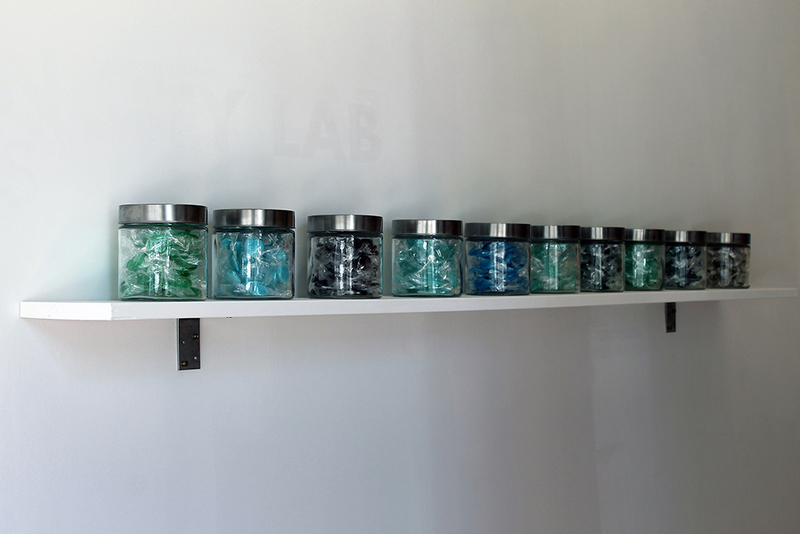 With the creation of Bow-Inspired Hard Candy, residents of Calgary can start to explore these questions through a fun and interactive public art work. Candies made from colour and flavour inspirations of the Bow allow residents to wonder about where the flavours and colours of the candies end and their own subjective experiences and memories of the Bow begin. 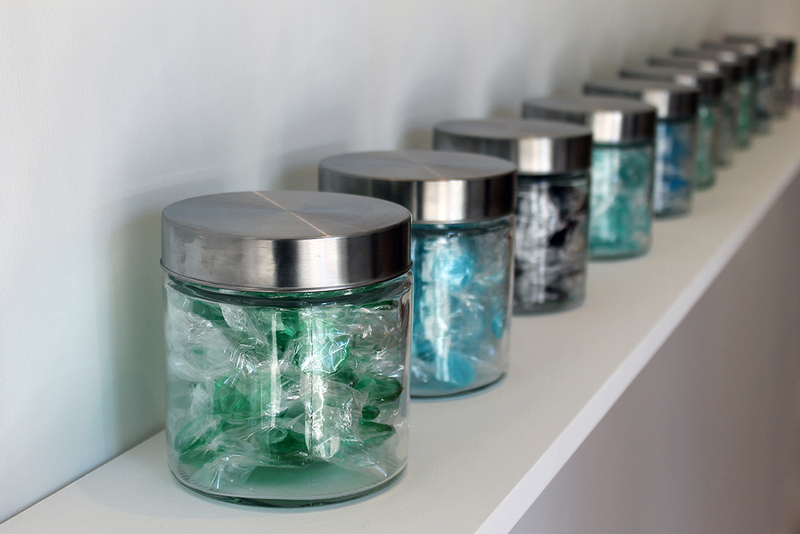 The installation consists of 10 jars, each filled with about 100 candies of a specific colour. Municipal water from the Bow River was used in the production of these hard candies. In order to understand how images and ideas about the Bow River change over time, we produced a small booklet consisting of images pulled from a Google search of “The Bow River”. This collection of halftone images suggests a moment in time and further explores the notion of “varying proximities” in terms of web search language. 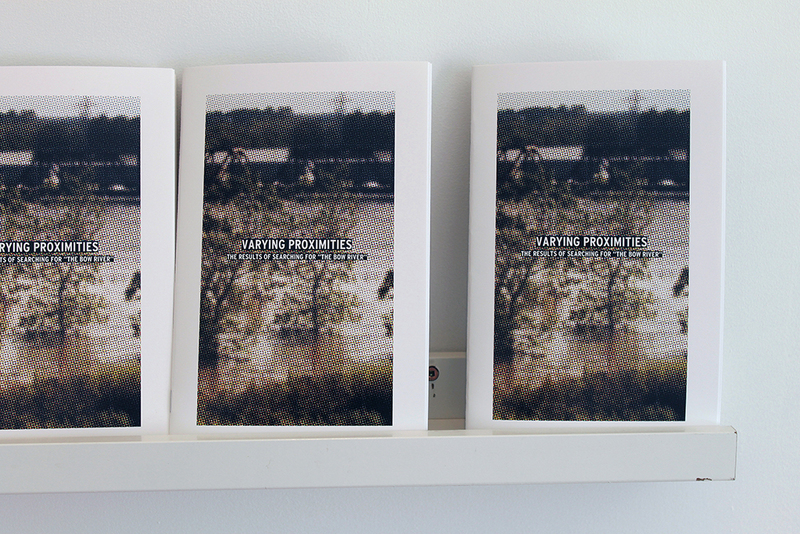 Copies are available in Stride Gallery and we encourage visitors to grab one from the two shelves mounted in the main gallery space before the exhibition ends on August 2nd. Distributed along the Elbow and Bow Rivers and affixed to the stormwater outfall signs, Subtext: River Signs, will aim to engage the public to consider a number of questions about the rivers that have come to define the City of Calgary. Playfully asking a series of questions, Subtext: River Signs, will be installed on up to 100 posts for three months and encourage thousands of residents and visitors to think about the ways in which we collectively and individually experience the rivers and how these questions might cue new relations, memories, and stories of the Bow and Elbow. 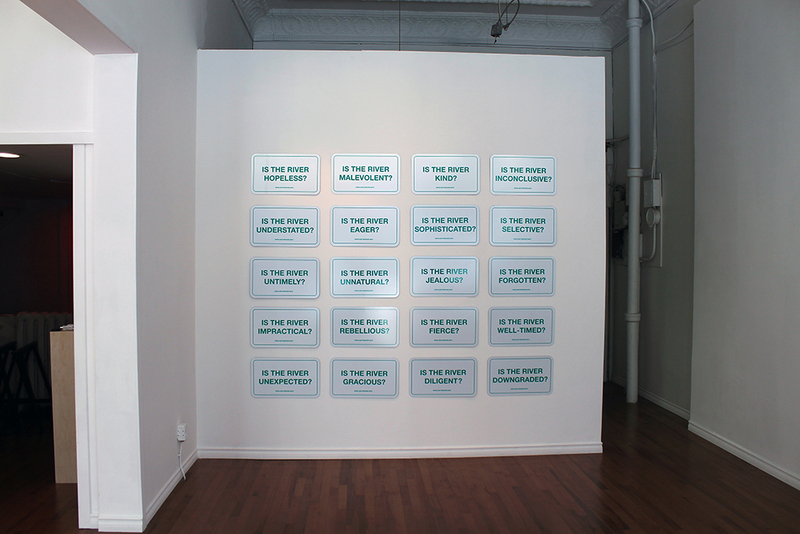 Nearly 100 signs were installed in the second room of the gallery and demonstrate the breadth of the questions posed. Viewers are invited to ponder these questions and how they might relate them to their ideas about the river. The signs on display will be installed on posts around the Bow and Elbow Rivers this fall, so stay tuned for more updates!